One area addressed in a routine maintenance appointment is your Mercedes’s transmission. Mercedes, especially older ones, are commonly known to develop transmission leaks if not cared for properly. 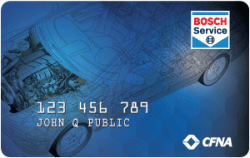 Transmission fluid is a critical part of your transmission’s proper functioning. Not only does the fluid provide lubrication for moving parts, it also assists in cooling the transmission. Automatic transmission fluid is a reddish-brown viscous (thick, sticky) fluid. It usually has a bit of a sweet odor. Unlike motor oil, transmission fluid isn’t burned off or absorbed in the process of driving. Instead, it continues to circulate within the closed transmission system unless a problem occurs. The most common sign that your Mercedes is leaking transmission fluid is an oily puddle underneath your car. If the liquid in the puddle on the drive or in the garage is a reddish-brown color, it’s most likely transmission fluid. 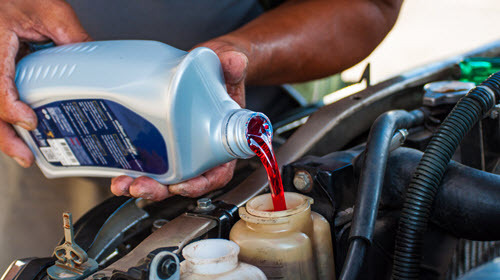 Although the transmission fluid circulates in a closed system, leaks do occur, which can quickly drain the fluid and lead to serious transmission damage to your Mercedes. If the liquid has a burnt smell, it has become contaminated and a full drain, flush, and refill is in order. Other common signs of possible leaks in your transmission are problems with shifting, either difficulty or delay of the transmission to go into the proper gear or slipping out of gear while driving. Ignoring the leak in your transmission can lead to serious problems for your Mercedes, up to and including a complete transmission replacement. A transmission fluid leak can escalate quickly, so it’s vital you bring your Mercedes to a qualified technician familiar with the Mercedes transmissions and specifications to repair the leak. The Mercedes transmission is complex and leaks can be tricky to locate. Our technicians are familiar with all the different models of Mercedes and are the best ones to locate the leak. Common culprits causing Mercedes transmission fluid leaks are faulty seals. The one we find to be the problem most often is the transmission oil pan gasket, but leaks can also result from other loose seals, damaged or leaking transmission fluid lines or torque pump, or a damaged or cracked transmission oil pan. DIY Repair or Service Technician? Depending on the location and severity of the leak, you might be able to effect a repair on your own, if you have the proper tools and knowledge of your Mercedes. If you check the fluid and it’s still a clear red color with no burnt odor, you’re in great shape. If it’s a little low, but you haven’t noticed any leaks, you could top it up with the fluid listed in your owner’s manual. We strongly discourage use of commercial transmission leak-stop additives as these can cause severe damage to your transmission. Look out for any further indications of leakage, as this can escalate out of control before you know it. If the fluid is discolored, has a burnt odor, or is significantly low, you’re better off getting it into a Mercedes-qualified specialist for further diagnosis and repairs. that could be the result of a leaking transmission, it’s time to give us a call. Our Mercedes specialists here at Glenwood Foreign Car can help you figure out exactly what the problem is and get it repaired quickly. Located close to US Hwy 1, top-rated Glenwood Foreign Cars is easily accessible from Upper Makefield Township, Yardley, Newtown, and Morrisville, PA.
Our experience servicing European automobiles for over 40 years enables us to manage any problems your Mercedes is experiencing. We know you value your Mercedes. So do we. Having worked with Mercedes for a long time, we have the knowledge, skills, and expertise to diagnose and fix your transmission problems and get you back on the road in no time.